HomeTips & TricksHow to Start Blog site using your free time? How to Start Blog site using your free time? How to Start a Blog site? Is it difficult…???? No, there are a lot of ways to Start a blog site. Remember this is 2019, Creating a blog site is easier than ever. You can make a blog site with less than 30 minutes. It is completely free of chargers. But If you want to start a serious blog with your own domain name & web host then it will be costly, but don’t worry, that’s not too much. It decides on your choices of blogging flat form. With some blogging sites, you can start a blog without any cost. Actually, starting a Blog site is a good idea. Why? 1. Today, Blogging has quickly become one of the most popular way of communicating and spreading information and news. 2. It is the best way to express yourself and share your ideas and expertise online with others easily. 3. You can expand your online business that’s a great tool to promote your personal brand or business. 4. You become a better person + better writer + better thinks. 5. Finally, the best reason, “You can make money online by doing it!”. You can earn money for your pocket while you are sleeping. 6. You can set up a blog for fun or as a hobby, too. That does not require any coding knowledge. So starting a blog site is easy & funny. Also, you can build up your own blog site within 30 minutes or less than it. However, before starting a blog site, you must think about What is your Niche for your blog site? and to whom are you blogging for? 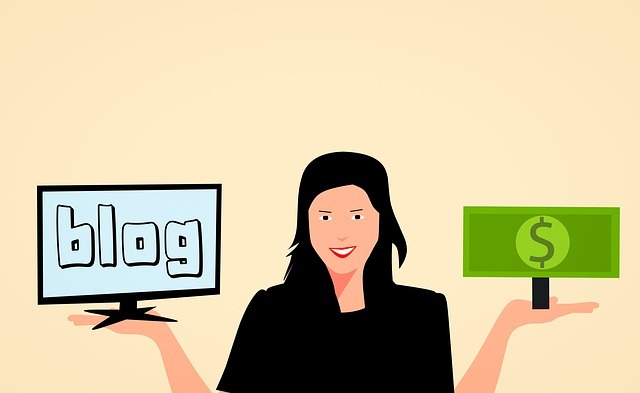 A blogging niche means what a blog is all about (For example; Business, News, Health, Education, Gaming, Blogging, Sports, Technology) or who are the target audience of our blog site? that niche determines the kind of articles we publish in our blog. We can write on more than one or two niches depending on the blogger’s purpose. However, selecting a niche can be one of the most difficult problems for many bloggers faced. Based on that selected niche that determines the which kind of articles we write? How can be the web traffic for our blog site? and How about our earnings from the blog site. So that selecting a niche for your web site can be a puzzle that you have to solve. Also, it should be a something that you really have a passion for, know well and can write much about. There are lot of Blogging Platform you can Choose the Best Blogging Platform. However, one that really stands out from the pack is WordPress. It’s FREE, very user-friendly and perfect for people who have never built a blog before, massive numbers of Bloggers used that platform.But you should not create a blog on a free platform because it provides limits Facilities for you. However, as a beginner free Platform is familiar with you. Also, Blogger is another good blog platform for new beginners. You can use it to make some income. But other platforms like WordPress, Wix they do not allow to earn money using the free platform. For that, you should upgrade it to the next level. It’s your first impression on website visitors. It defines own your brand. There are some limits to free blog sites. you cannot fully monetize it and you don’t have the possibility to upload all those videos and images that you want to show your readers. It might sound silly at first, but you do not actually own your blog. Your blog is hosted on someone else’s web property and they can delete it if they want to. They have done so in the past and keep doing it in the future also. Which means all your hard work on your blog, all those countless hours of writing blog posts might have vanished within seconds. Sad…yes. On the other hand, with a self-hosted blog on your own domain name, you can be the real owner of your blog. You’ll be able to name your blog whatever you want, for example, “YourName.com” or “YourAwesomeBlog.com”. So how much is hosting and a domain name? Not as much as you are thinking, fortunately. It usually works out to about $5 to $10 Per month, depending on your hosting provider. What is that Web Hosting and Why Do we Need it? Web Hosting is a service that keeps our blog accessible to everyone. That stores all the files, images, videos and content that your blog has and displays it to the blog visitors. Hosting is basically the company that puts our websites up on the internet so everyone else can see it. Everything will be saved there. Think of it as a computer hard drive on the internet where your blog will be saved. If you don’t have a web host, you won’t be able to set up a blog for others to seen or will you be able to use your own domain name. 3. Pick a domain name for your blog. 6. Log in and write a blog post. Go to your blogger platform and log into to your blog site. Start design your blogger layout. It must be attractive layout. If you need you can get third party custom template. After design your blog you can write article as you wish. Move forward without any afraid. There are lot of articles in the internet that you can get help for how to blogging. Then I think you have a better idea about how to start a blog. Thanks for reading - How to start a Blog site?